Roll top baths offer elegance and style to any bathroom design. Unfortunately not all bathrooms can take advantage of these sophisticated baths which make magnificent centre pieces, but with planning, these baths can be a welcome addition to any larger bathroom design. The main deciding factor will be the size of your bathroom. Even though these baths are so stylish and elegant, they need to be on display and become a statement in the bathroom to ensure you get the impact you are hoping for. This means that these baths are better suited for larger bathrooms where they can be placed in the centre of the bathroom. Roll top baths are generally free standing baths with taps at one end or along the one side, this gives you the freedom to place them against a wall or in the centre of the room, ensuring you enjoy the elegant design that makes your bathroom so spectacular. There are a number of choices available when choosing roll top baths, they are not all the same and the one you choose should be the one that best complements your bathroom area. There are two choices if you are looking at placing your bath against the wall. 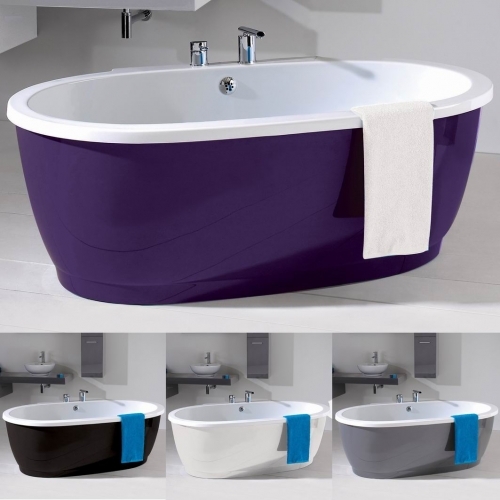 There is the single ended roll top baths which are the perfect solution for being placed against a wall and then there is also the single ended slipper bath. Slipper baths have a raised side offering plenty of space to lie back and soak in the bath after a tough day at work. 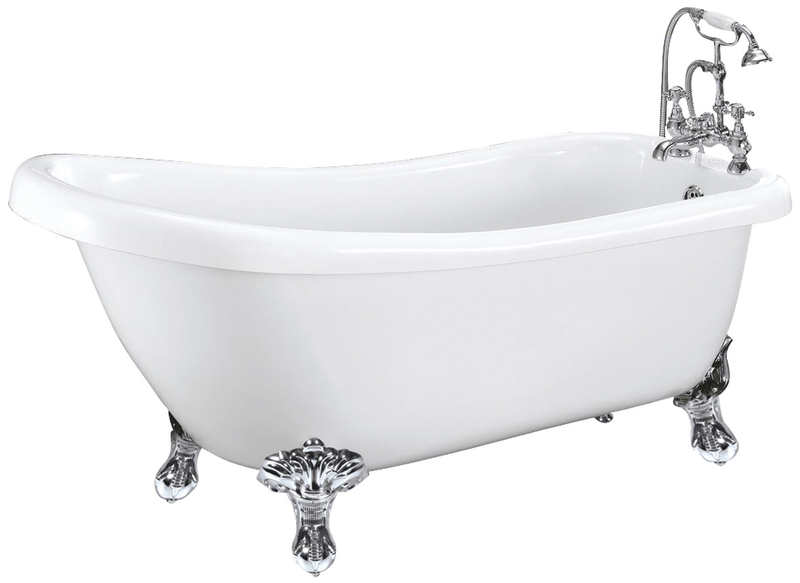 Using your bath as a centre piece there is the double ended roll top baths to choose from, again these are available in slipper designs if you prefer with two high ends. The double ended designs are suitable as a centre piece or against a wall, offering you even more versatility. The roll top baths are your choice and comes down to personal preference, either way they are guaranteed to compliment your bathroom and make a statement. You can use your bathroom mirror to highlight your bath making it the centre piece of the bathroom at all times. When it come to choosing a bath for your bathroom you need to take the space available and layout of your bathroom into consideration. Placing corner baths helps in maximising floor space and often these baths are chosen to be placed under a large window or sky light. I remember years ago all corner baths looked the same, they had a triangular edge that fitted into the corner and then the bath itself was curved, offering a large space to soak. Times have changed and as bathrooms are designed more luxurious and modern, the corner baths have changed too. These days you can find straight edged corner baths, those perfect for the modern bathroom design. Then there are those with gentle curves such as the space saving or compact corner baths and then there are the stunning oval corner baths designs. One of my favourites is the Plato corner bath, these baths have straight sides with angled edges, making them stylish, sophisticated and elegant and perfect for any bathroom design. The size of the corner baths you choose is as important as the design, you want to maximise your floor space leaving plenty of room for that shower you have always wanted or your vanity and toilet. Some of the corner baths are long, the straight edged baths and even the Plato, that I mentioned earlier. These corner baths fit into the corner position and stretch along a wall. 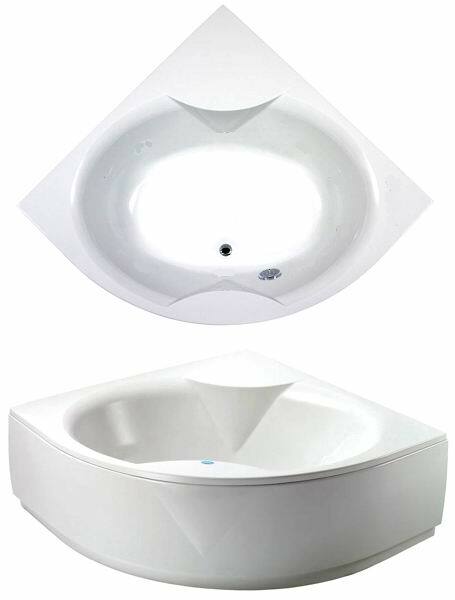 The Nice and Monaco corner baths are more the traditional design that we all know, they fit into the corner with a curved edge helping you make the most of the space you have available. These days bathrooms are all being designed around modern, minimalist and luxury. Spa inspired bathrooms are a top choice this year and it doesn’t matter which of the corner baths you choose, you can add a luxurious, spa-inspired touch to them by adding whirlpool or airpool jets. If you spend time heading to the salon or gym to enjoy the jacuzzi, allowing the jets to massage your aching muscles, you can enjoy the same benefits in the comfort of your own home. The whirlpool and airpool jets available for the corner baths offer the same benefits you would fit in a professional setting, they massage aching muscles and are great for anyone with circulation problems and arthritis. It’s definitely something to consider when choosing your corner baths. When it comes to bath taps I believe in matching the design to the overall style of the bathroom. In a modern bathroom you are looking for sleek, minimalist and elegant and you want the taps in your bath to match those in your shower and basin, carrying the design through the entire bathroom space. There are a large selection of bath taps ideal for the modern bathroom, but these are my top five, my personal favourites that I believe will compliment the space adding that “wow” factor. The ZD Series has an integrated shower head making your bath taps even more functional. These bath taps are a single unit which includes a rectangular shower head which tapers at the bottom with a gentle curve which is very sleek and stylish. This unit is a modern square design to blend in beautifully with a modern bathroom. These bath taps are minimalistic in design and super stylish. The tap itself is rectangular with a ninety degree angle and the shower head is simple and rectangular, giving it that perfect finish. The controls are cross head in design offering your bath that perfect finish. The WF Series bath filler does not incorporate a shower, but offers an ultra-modern waterfall effect tap that will compliment any modern bathroom space. These bath taps are a rectangular base with a unique spout in the centre with controls on either end, one for flow and the other to manage the temperature. These bath taps introduce a beautiful style into the modern bathroom with a sleek rectangular shower head combined with a modern tap with ninety degree angle. 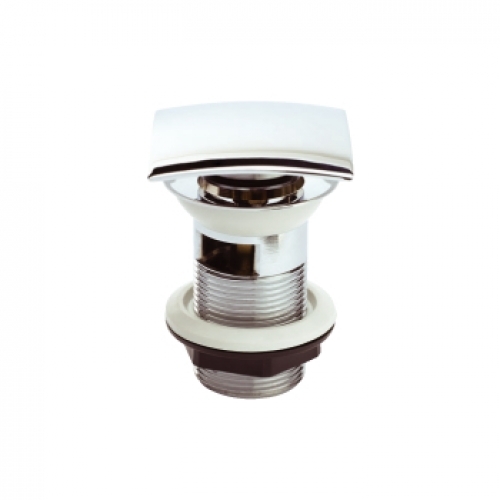 The three single lever controls add ease of use to the sleek and stylish design. This WF Series incorporates a shower while still following through with the unique and ultra-modern design. 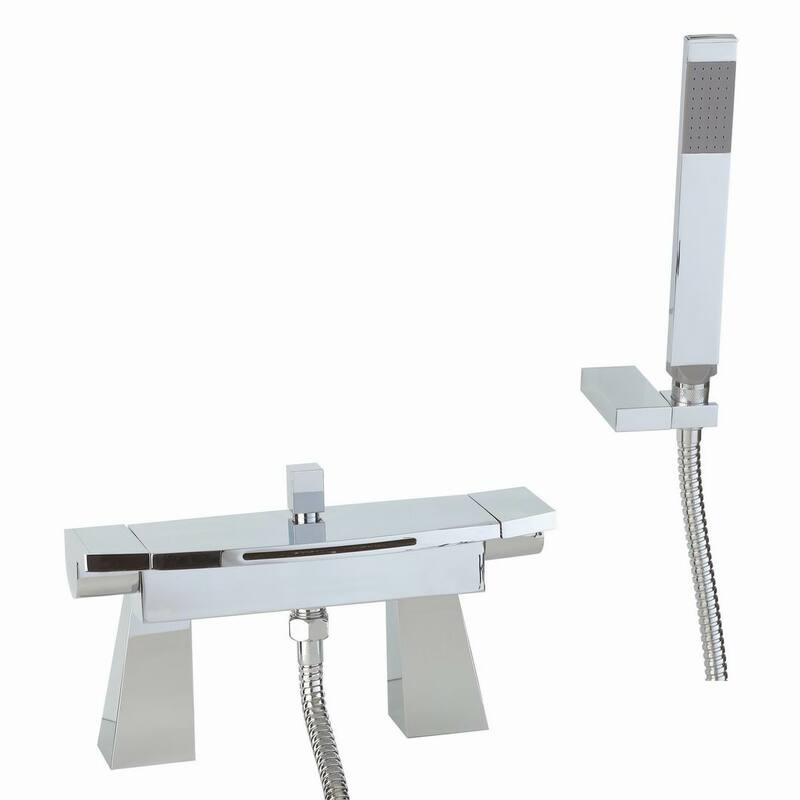 These bath taps are modern, stylish and elegant with a rectangular shower head and a flat rectangular base with unique spout offering a waterfall effect when filling your bath. The controls can be found on either side allowing you to control your water flow and temperature with ease.